As United Methodists, we give in order to minister in Jesus’ name. Your giving dollars go to support the ministry of the local church and fund remarkable ministry around the world, like caring for survivors recovering from natural disasters, assisting vulnerable communities, fighting diseases like malaria, and equipping the next generation to lead the church and society. In all of this, we share the good news of Jesus Christ. Online: If you wish to have your gift automatically withdrawn from your checking or savings account or charged to your credit/debit card, you may click on one of the buttons above to access our online giving set up and management page or a one time donation page. A one time donation does not require the creation of an account or a password. Regular online giving allows you to ensure that your gifts are received by the church on a regular basis, even if you are out of town or teaching Sunday school one week. Have questions about the process? Download the instructions! Cash: You may place a cash gift into the offering plate during the worship service. If your gift is for an occasional special collection or for our church apportionments, please put it in an envelope labeled with your name and the collection you are giving towards so that we can keep accurate records of your donation. Though your everyday shopping: Download the Benefit Mobile App from Apple Store or Google Play. Link the app to your bank account (or credit card—but bank account yields better profit to SSUMC). Select “Silver Spring United Methodist Church” as your beneficiary. Purchase electronic gift cards for over 100+ retailers, restaurants, grocery stores and online shopping (iTunes, Best Buy, Carnival Cruises, Chipotle, CVS, Panera, Old Navy, Safeway, Whole Foods, Target and so many more). The “cards” are stored on your app and can be scanned at the register. You can see in the app what percentage is donated back to the church (1-20% depending on the retailer). You can even download the gift cards while standing in line at the store and use right away! By using this app to purchase cards to use for your everyday shopping you are supporting the church! It’s that easy! AmazonSmile is a website operated by Amazon with the same products, prices, and shopping features as Amazon.com. The difference is that when you shop on AmazonSmile, the AmazonSmile Foundation will donate 0.5% of the purchase price of eligible products to the charitable organization of your choice. 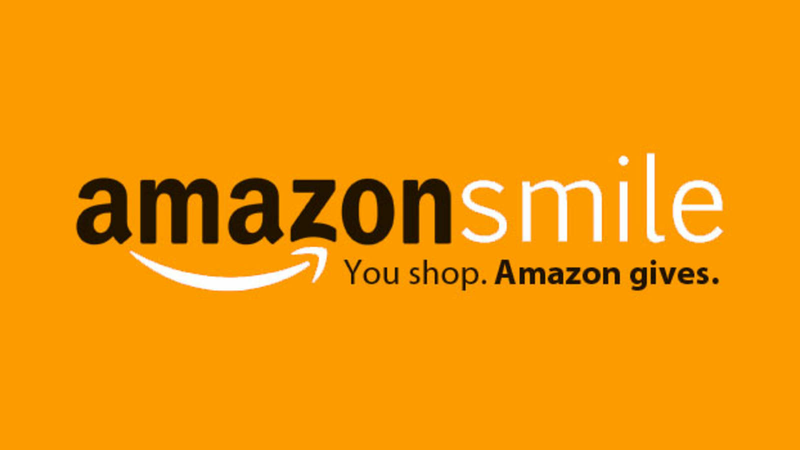 Click on the Amazon Smile logo above or here : smile.amazon.com to log into your Amazon account. Please contact the church office if you are interested in receiving weekly offering envelopes. For more on Giving in the United Methodist Church, see umcgiving.org. 1. If I make a contribution in early January, can I claim it on my taxes for the previous year? No. Contributions must be claimed in the year in which they are delivered. 2. If I mail my contribution in December year x, but it doesn’t reach the church until January year y, which year should I claim it? On your “year x” tax return. A check that is mailed is deductible in the year the check is mailed (and postmarked), even if it is received early in the next year. 3. Can I deduct the value of the volunteer work I did for church? No. The value of personal services are never deductible as a charitable contribution. However, unreimbursed expenses you incur in performing services on behalf of the church may be. You can use a “standard mileage rate” to compute a deduction for any miles your drive in performing services for the church (see more at: IRS “charitable” mileage rate). Be sure to maintain accurate records. Example: Several church members go on a short-term mission’s trip to another country. The value of their labor is not deductible, but they can deduct their unreimbursed travel expenses (transportation, meals, lodging) incurred in performing the trip. 4. I gave $135 to my church when I registered for a retreat. Can I deduct that? No, assuming you received benefits (e.g. lodging, instruction, materials) worth $135 or more. Contributions generally are deductible only to the extent they exceed the value of any premium or benefit received by the donor in return for the contribution. 5. I designated my contribution to the church benevolence fund. Is it deductible? That depends. “Designated contributions” are those made to a church for a specific purpose. If that purpose is an approved project or program of the church, you can deduct the contribution. Example: You donate $200 to the church and instruct the church treasurer to give the $200 to a specified needy family in the church. This contribution is not tax-deductible. 6. Is there any limit to the amount of contributions I can deduct on my taxes? Yes, a contribution deduction ordinarily cannot exceed 50 percent of a donor’s adjusted gross income (a 30 percent rule applies in some cases). Donors who exceed these limits may be able to “carry over” their excess contribution and deduct it in future years. 7. What kind of records do I need in order to prove I made a contribution? Information provided by Richard Hammar, J.D., LL.M., CPA, Christianity Today International.